You know you wanna join . 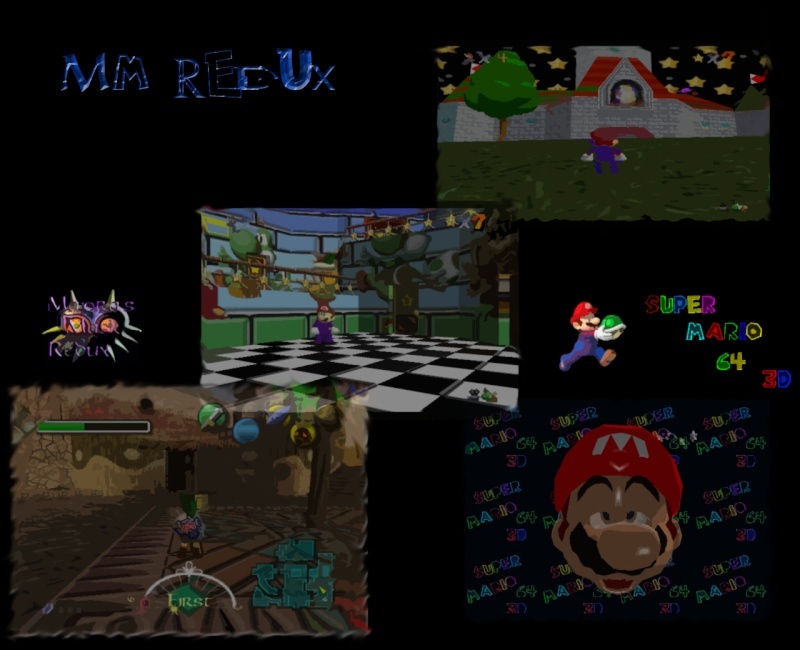 MM Redux is a friendly community featuring N64 retexture packs, Retro/current/next-gen reviews, and much more. Project is not dead and will be updated very soon sorry for the delay. Below is each section of the game the game that will be modified, as well as the members assigned to the project.We are now accepting contributors for the project PM Admin for details. Register if you're interested in contributing. Third texture pack release:Beta pack Release 3 Download . "Must Register for download link to work." Please comment and let me know what you think of the project so far. Were always looking for new members to contribute with the project. You really have the Talent for this game design, base on the graphics, you Passed. So is this a project for gameplay? I have never seen this version before. Oh and all these textures were made with gimp, I have photoshop now so graphics should improve. Check out the majoras mask retexture project on the site -MM Redux,those were done with photoshop. Will the project port out for PC's and Game consoles in future? Because there are always demands on home console other than PC's. 2nd question for your advise, will this going to ba a full playable game for download also. i have plans in the future to release the game as a rom (.z64) with the replaced textures. which can be ported to a cartridge, and played on the n64. To answer your second question the game will be relased as a texture pack while in progress, then full game once completed. On the Super Mario Project, does the Life bar and other objects available for changes or modifications? yes the entire hud will be modified in the game.